Spending the extra day in Ubud is paying off. 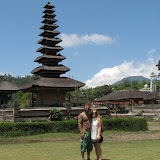 Justin and I are both feeling better and we all spent a nice, relaxing day enjoying the many things Ubud has to offer. Jo took a silver jewelry making class this morning and after three hours emerged with a beautiful ring that she created. Justin, Mark, and I had breakfast at a restaurant with wireless internet and sent yesterday’s log and checked email. We then walked up Monkey Forest Road to the center of town doing a little shopping on the way. The little shops are just full of tempting things that lure tourists through their doorways. Justin was particularly taken with the masks that are an integral part of the dances here. And I have totally changed my mind about Ubud. The first time I came I felt like I was in a busy, busy tourist trap. And it is that. But it is so much more. Being here allows you to start to feel why so many people have always thought of Bali as a very special place. We met Jo for lunch on the main street after her class and then Justin and Jo went shopping and Mark and I went to a place called Threads of Life. It is a showcase for the beautiful weavings done by women all across Indonesia. They have done a nice job of acquiring the very finest weavings and displaying them as in a museum with descriptions of the whole process. Things that we have paid $30US for in the islands are $450US here, so we didn’t buy anything. We just enjoyed looking at the array of weavings from the different islands and surprised ourselves by realizing that we have learned a lot about Indonesian weaving in our travels. Justin and Jo spent the early afternoon shopping. They found a couple of masks that they just had to have and they picked up a few small items for Jo to take back and sell in her gallery. The problem is that she keeps buying things that she loves and she ends up wearing them, so the gallery might not end up with new items! We all met back at Ubud Terrace Bungalows and enjoyed an afternoon swim and rest before heading further south down Monkey Forest Road to the Sacred Monkey Forest Sanctuary. We had read in the Lonely Planet that one of the three temples within the sanctuary has an “Indiana Jones feel to it” and we had to agree. The Temple of the Dead is a place where people are temporarily buried until it is time for the cremation ceremony and the entrance to the temple itself has these monstrous stone creatures eating children. That was creepy enough, but as you wind your way through the forest the scenery is surreal. There are huge banyan trees and what I call cathedral figs with roots hanging down to the ground from three stories above you. There are deep canyons where the dark spring waters run and huge rocks completely covered with green moss. And the huge stone carvings are everywhere. We all decided that Maurice Sendak must have visited Bali just before writing his children’s classic, “Where the Wild Things Are.” They are in Bali in the form of stone statues. And of course, I can’t forget the monkeys. There are long-tailed Macaques everywhere. They are very cheeky and will jump right on you if you have food in your hand. One little monkey grabbed the pocket of Justin’s shorts and even though there was no food there, he kept trying to put his hand in. They tell you to have nothing in your pockets as these little monkeys are great pick pockets. 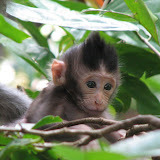 We especially enjoyed watching the baby monkeys interact with their mothers. They are just so cute. Our choice of entertainment for the evening was one of the dance shows that Ubud offers. There are different dances here and each one tells a different story. 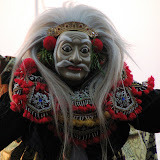 There is Barong and Rangda, Legong, Jegog, and Kecak and fire dance. We chose to attend a Kecak Fire and Trance dance, and it was fantastic. About a hundred bare-chested men dressed in black and white checkered sarongs sit in a circle about three men deep and provide the chant that is the background “music” for the story. This circle of men has a tall tower of flaming candles in the center and the dances that tell the story are performed between the circle of men and candles.. The men represent the monkey army and chant for a full hour and a half. Their voices rise to a crescendo at various times during the dance and as they all stand and sit and sway and wave their hands in the air with fingers fluttering, all in unison. While this is happening, Prince Rama is trying to rescue his beautiful wife Sita who has been kidnapped by King Lanka. The costumes are phenomenal and the dancing graceful and beautiful. After the story has ended, the stage is cleared and a huge pile of coconut shells is lit. As it is flaming hot, a fire dancer enters and proceeds to kick the burning coconuts, walking on and among them. At the end, his feet were black but he showed no signs of actual burns. We left the Pura Dalem Taman Kaja (temple) in awe and then went for a late dinner at a restaurant called “Three Monkeys.” You enter from the street and go back to an outside terrace surrounded by rice fields right off Monkey Forest Road. We had another wonderful meal and are going to miss the culinary delights of Ubud. I am finding it difficult to describe Bali adequately. It is just so different from anyplace we have been. The Bali style of Hinduism is fascinating and permeates life everywhere you look. Every morning fresh flowers and fruit are strewn about on sidewalks in the little woven temples that are everywhere. As you walk up steps from our bungalow to the street, the steps are adorned with flowers. Beautiful batik cottons and silks are draped everywhere and the surreal carvings are everywhere you look. Pictures don’t even convey this. I think you have to come to Bali to see for yourself. We got up this morning and Justin was worse than he was last night. He had not slept much and was miserable, but we decided to head on to Ubud and hope for a miraculous recovery. 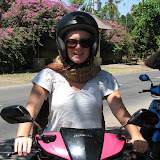 By the time we made it to Ubud, Justin was feeling so bad that we changed our plans. We were going to visit the wood carving village and walk in the Monkey Forest before lunch, but there was no way he could do that. So instead, we drove up Monkey Forest Road, found a place to eat lunch, and made the decision to stay here an extra day in hopes that he can recover. I am also feeling worse than I did a few days ago when I first got whatever it is we have. So an extra day of rest before we head out to sea sounded like a really good idea and Ubud is a nice place to just sit still and recover. Ubud’s streets are filled with galleries and stores selling everything you could ever want, but its saving grace is the array of wonderful, relaxing accommodations. for the food, I walked down the street to try and find a place to stay. Komang had mentioned the Ubud Terrace Bungalows, so I checked that out first. There was just a very small handmade sign on the street, but I stopped when I saw it and a gentleman immediately came up to me and asked if I was looking for a room. He invited me to follow him just a few feet away from busy Monkey Forest Road, and all of a sudden I was in a very nice garden with a great swimming pool in the center, all surrounded by rooms. He took me to a room right beside the pool and it was really very nice. It had a four-poster bed painted with intricate Indonesian designs, a brand new stone-tile floor, woven bamboo walls, and a bathroom with a bathtub and a shower. There was air-conditioning if needed, and it was just charming, all for the cost of $20US. It looked like a great place to recover by the pool, so I told the gentlemen I was interested. He said there was one more room on the other side of the pool that was available, but that those were the last two rooms available. I told him I had to check with others, but that we would return and have a look. On my way back to the street, I saw our Komang sitting near the street and told him I thought we had found our place to stay. 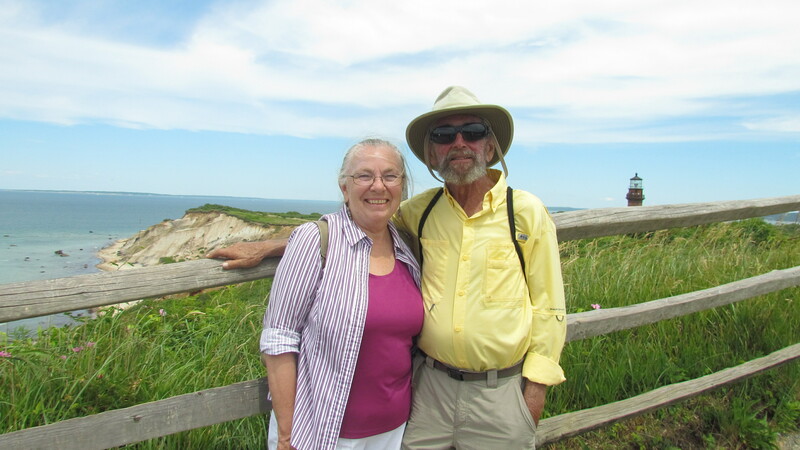 When I got back to where we were having lunch, everyone thought the place sounded great, so as soon as Mark finished lunch, he headed down the street to pay for the rooms. We swam and sat in the sun and the shade, and then Justin took a nap while Mark and I explored the area from where we are staying to the center of downtown. Jo took off in a different direction to check out the shopping and to make arrangements to attend a silver jewelry making class tomorrow morning. All of the energy that we had for going to dance performances tonight just slowly drifted away the closer we got to evening, so instead Justin and Jo walked a few doors down the street to get a massage. When they returned we walked across the street to a great little restaurant for dinner. The food was really wonderful and as we ate, Justin and Jo told the story of their “$10” massages. The massage was an hour long and was great, but then they decided to spring for the after-massage treatments. Jo chose the tropical treatment which was to have honey rubbed over her body and Justin chose the tropical spice treatment which he described as being rubbed down with dirt. After the treatments were applied, they were both wrapped in sarongs and left for 30 minutes. Jo was put in a chair where she felt like she was at the hair dressers and Justin was lying on something like a board. It was so far from the romantic vision one might have of a Bali spa that Jo got uncontrollably ticked. It got even worse when Justin went in the shower to rinse the “dirt” off and found that only the scalding hot water would work-no cold. Jo’s bath was not in a plush bathtub but rather an old white tub. And then she was served papaya that way too ripe. You’d have to hear them tell the story to really appreciate it, but the bottom line is probably that a Balinese massage of the type you dream about is probably more expensive than $10. Hopefully both Justin and I will feel better in the morning and we will have some energy to visit some of the galleries and dance shows. If not, we’ll just sit around the pool. We will return to Lovina the next morning, making stops at a fruit and vegetable market and the grocery store in Singaraja. 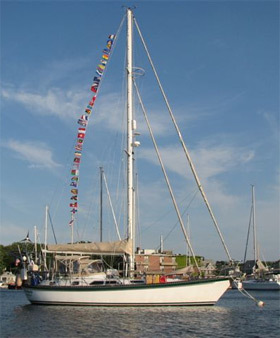 Once we are stocked up, we will return to Windbird and sail away in the middle of the night. For now, however, we will just concentrate on feeling better. 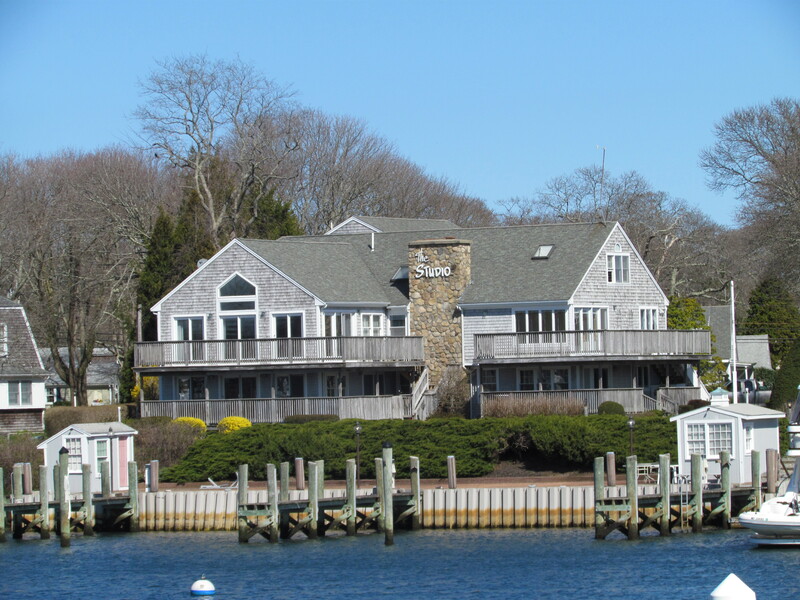 Early in the day, Mark, Jo, and Justin went to shore to have a big breakfast and do some shopping. I stayed on the boat to cook, clean, and organize photos, but I’m afraid I didn’t get beyond cleaning. The black sand beach here seems to be moving aboard our boat, so I vacuumed, and vacuumed, and vacuumed some more. I even vacuumed the teak deck as it was starting to look like a sandbox. I made cheeseburgers for lunch and just when I was getting ready to work on photos, the gang arrived back home. We decided to go snorkeling on the reef not far from here and again saw some beautiful fish. Today there were no fishermen anchored around the reef and there were a number of dinner-sized fish out trolling for their lunch. We then got ready to go ashore for a trip to the local hot springs called Air Panas Banjar and a visit to the Brahma Vihara Arama monastery. Mark had reserved a car and driver to take us, but Justin and Jo REALLY wanted us all to go on motor bikes. It appeared that there were no bikes left to rent, but Justin and Jo had a secret place and actually turned up with two bikes. One had a left rear-view mirror and the other had a right rear-view mirror. They were certainly not as nice and stable as the ones we had rented yesterday, but I took a deep breath and gave in. So off we went. We had to drive down the main highway about ten kilometers and then we turned to work our way up the mountain. The Air Pans Banjar hot springs are in a lovely tropical garden setting. There are two main pools, one with stone-carved figures from which the hot spring water pours in the first bath. This is the really hot pool. And then the water overflows into a second pool through the mouths of five more carved figures. There is a third pool where the water pours from a spout three meters over your head to give you a massage as it hits your body. Mark and I did not go into the pools today. We decided to sit this one out in the lovely restaurant that overlooks the pools, but Justin and Jo thoroughly enjoyed the experience. to the monastery grounds, it became clear that we would be driving home in the dark. Again, I took a deep breath and just enjoyed the moment. There was one section of the monastery that is designed like a “mini” Borobudur. This is the huge and famous temple in Java. The part of this monastery designed like Borobudur is small, but beautiful. We watched the setting sun and beautiful views of the north coast of Bali, and finally tore ourselves away to head home. At first our ride was in twilight, but by the time we reached the main road, we were driving in complete darkness. Actually the ride was fine even though it was a little nerve-wracking in the dark. are going to give it another go. When we return here the following day, we will prepare to leave for Karimunjawa. These are islands north of the Java coast and they sound absolutely beautiful from the descriptions we have read. It will take us about three or four days to get there and we will spend about four days there. Then it will be time to head to Borneo to see the orangutans. Unfortunately, Justin now has the cold that Mark and I have had. So hopefully the passage time north and west to Karimunjawa will give him time to recuperate. Mark and I are on the mend, so that is a good thing. bikes back to Pemuteran to visit the Reef Seen Turtle Project. This is an operation much like the one we visited on Gili Meno where baby turtles are kept in captivity for a few months before they are released into the wild in order to give them a running start. They returned, and we still had no car, but the ice cream man went by on his bicycle playing the local ice cream jingle. He must have seen the look of lust and he turned around and came back so we could enjoy a cool treat on a very hot afternoon. Eventually the new car arrived and we headed to Labuhan Lalang to an information office for Taman Nasional Bali Barat or the West Bali National Park. After a bit of driving around and haggling over price, we found a ranger to take us out for an hour’s walk. Strike Five. Nothing was going to be easy today. We did see black monkeys, macaques, little black squirrels, and a couple of deer, but the end of the day was nearing and we had many miles to go to get back to Lovina. It was a little difficult to fully enjoy the walk, knowing that we really needed to hurry on in order to get home before dark. Driving a motor bike on these busy roads in the dark just didn’t sound sensible, but we did have to get home. So we started our trek back around 5 pm with Mark on one motor bike and Justin and Jo on the other. We made arrangements to meet at a temple on the east side of Pumeteran to feed the monkeys. This would have been a whole lot more fun if we weren’t faced with a trip home in the dark. We finally got going with just Mark and Justin on the motor bikes and Jo fast asleep in the car. Between motor biking and snorkeling, she was pretty much wiped out. I just sat in the front seat with the driver and worried, and just about the time we reached the very busy town of Seririt just before Lovina, the last light of the day disappeared. Strike Six. I was quite nervous by this time as our driver hurried home and we left Mark and Justin in the dust. The good news of the day is that Mark and Justin did return to Lovina safely about twenty minutes after we arrived. Komang had also made it home safely in the car that had broken down. So I guess all is well that ends well, but it was certainly a bit of a challenging day. I am just so thankful that we did all make it home safe and sound. We’ll regroup in the morning and decide what comes next. But I’m sure none of us is interested in another adventure tomorrow. We need a day to recover. What a beautiful life! We spent a great day with Justin and Jo and tonight we talked via Skype with Heather, Jed, and Sam with the video cams running so we could see Sam and he could see us. That in itself makes for a wonderful day, but add to that a really fun and spectacular bull racing event in a rice field and an evening spent with new and old friends. It is hard to beat. On the downside of things, I now have the cold that Mark is recovering from and I’m afraid Justin might be getting the same. But other than that, things are going great. After an early morning swim, Justin and Jo went to shore to get one of the famous Bali massages. Evidently Jo so relaxed that she fell asleep! While J & J were ashore, I did a laundry and then actually took a nap. That is almost unheard of, but unfortunately I am getting the cold that Mark has had. I’m feeling fine, but a nap today was a good thing. 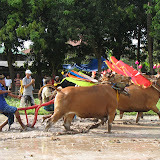 Once the kids came back, Mark and I went to shore to go to a Balinese bull race. Oxen are used here to cultivate the rice paddies and today’s race was a showcase for these beautiful animals. A pair of oxen are donned with elaborately decorated headdresses and a yoke is put over both animals that is also elaborately painted and accentuated with gold and silver. The pair is then run through a rice field by one man that is sitting behind. The rice field has been flooded with water so it is a “squishy” event-quite fun to watch but I’m not sure I’m ready for the ride behind. We had a lovely walk back to Lovina and stopped to make arrangements for a day of fun tomorrow. Justin and Jo are going to rent motor bikes to ride the 65 kilometers from here to the western end of the island. Robert and Tina of Shirena and Mark and I are renting a car and driver to take us the same distance. We will have Komang, the same driver that took us south to pick up Justin and Jo. We will visit the national park and if time permits, we will take a boat out to an island in the marine park to snorkel in what is tauted as one of Indonesia’s best spots. On the way back to Lovina, we plan to visit a Buddhist monastery and the holy hot springs nearby. It should be a great day. Tonight we had dinner with Robert and Tina of Shirena and Stefanie and Marin from Canada. Stefanie and Marin are not sailors, but are traveling around the world by plane. It is always interesting to meet world travelers, no matter what their mode of travel. After dinner we had our Skype connection with Heather, Jed, and Sam, and then it was back to Windbird. Earlier today Mark checked our website and we had two very special messages. One was from Jo’s parents saying how great it is that they can follow Justin and Jo’s travels through our logs and the other was from Justin’s best friend from grade school, Sandeep. Sandeep’s parents were originally from India but have lived in the United States all of their adult lives. Justin and Sandeep have kept in contact over the years and evidently Sandeep reads our logs from time to time and discovered that Justin is traveling with us for now. It is always wonderful to hear from family and friends, but hearing from Jo’s parents and from Sandeep was a very special surprise. Today was a lovely lazy day. We started the day with a snorkel on the reef near the anchorage first thing in the morning and ended the day on the beach watching traditional Balinese mask dances and then having dinner at the Seaside Cafe with Justin and Joe and Tina and Robert of Shirena. I don’t know where the hours go, but they seem to go so quickly. The nearby snorkeling is over head coral, but the fish life is vibrant and varied. We saw some of the biggest parrot fish we have ever seen, and the fish will literally eat right out of your hand. 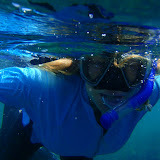 So we hope to do more snorkeling before leaving here. And already, we are having to make decisions about what we will not be able to see and do with Justin and Jo. These decisions are hard ones. It seems such a shame to be in such a wonderful part of the world and not get to see it all, but there is no way with limited time and money to do that. I think by the end of tomorrow we will have our path set and then we can spend the next three weeks just enjoying the ride.